Influencing this contemporary and versatile linen pillowsham, the immersive and bewildering narrow streets of a Moroccan medina form a labyrinth as seen from a birdseye view. 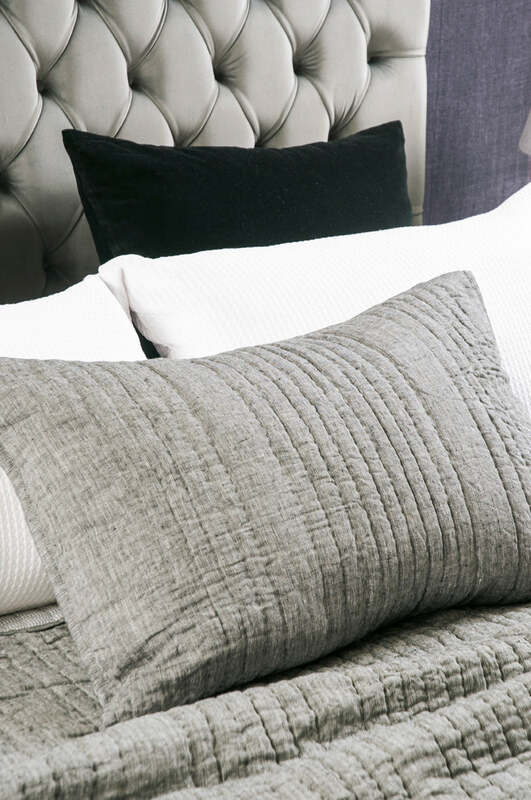 A herringbone linen charcoal weave top reverses to a cotton small check in a co-ordinating colourway with matching bedspreads and euroshams also available. 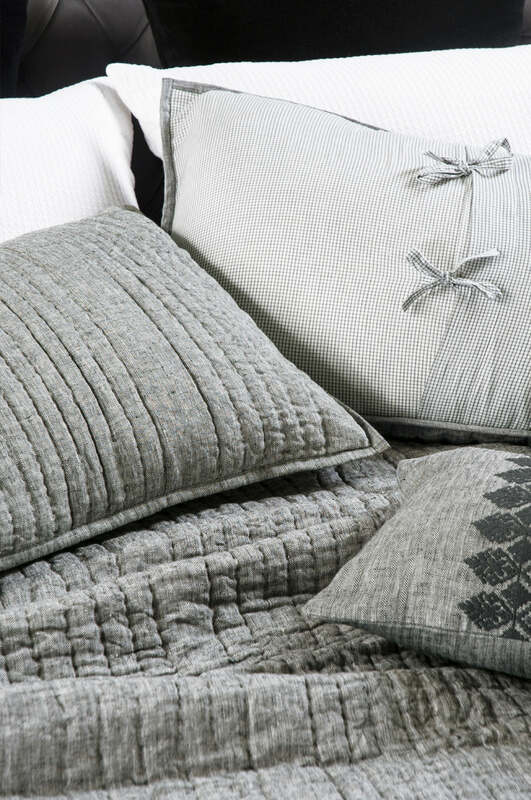 Please send me a sample of the following swatch for medina pillowsham.